Mediation is a resolution process whereby disputing parties come together to identify their issues and attempt to find resolution with the aid of a neutral third party--a mediator. Under Utah Code Annotated §30-3-38, all cases in which violations of court-ordered parent-time rights are alleged, the case is referred to the Co-Parenting Mediation Program for screening, and if required, scheduled for mediation. Attendance in mediation is mandatory. Under the Uniform Mediation Act adopted by the state of Utah, you may bring one "support person" to mediation. The mediator's role is to eliminate the barriers to communication, and act as a guide to the process, facilitating communication between the co-parents. Mediation is a confidential process. The mediator is not a judge or fact finder. Discussion in mediation will largely be regarding parent-time and other co-parenting issues including, but not limited to: school, medical, safety, and/or missed parent-time. You are not required to bring any materials or court documents to your mediation. In order to prepare for mediation, it may be helpful for parties in mediation to come with an idea or list of issues that they would like to try and resolve. Participation in mediation consists of open and honest communication between the parties. Parties are not required to come to an agreement regarding their issues in mediation, but they are expected to make a good faith effort to resolve the co-parenting issues. Cases referred to the program with components of Domestic Violence, or cases involving a Protective Order are carefully screened, and if appropriate, scheduled for mediation. The program has safety measures in place to promote the safety of all parties. Parties should anticipate a mediation session to last between two and three hours. 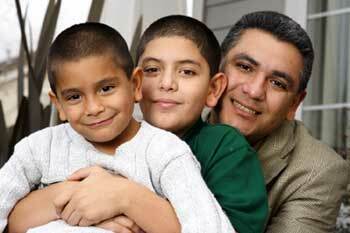 The Co-Parenting Mediation Program is supported by a grant, allowing us to offer mediation at a reduced rate of $40.00 per hour, per party. Parties with limited or low-incomes may qualify for an additional reduction in the rate based on their income. Parties are not required to have an attorney present during the mediation. If you have an attorney, and you plan on having your attorney attend mediation, please contact the Co-Parenting Mediation Program at least 48 hours in advance.